For our October session we made a visit to the excavation at Truckle Hill. 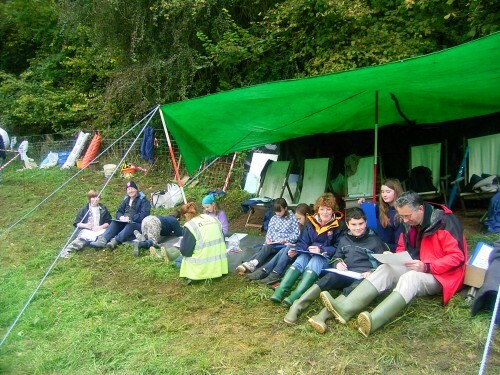 Typically the weather had been fine for all the other days of the excavation but for our visit it rained a lot! 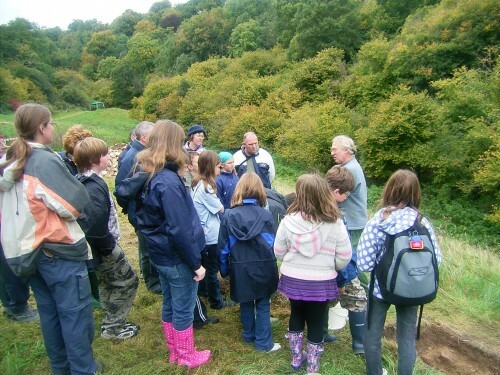 We all walked down to the site together then we had a tour of the site by Phil the site director. 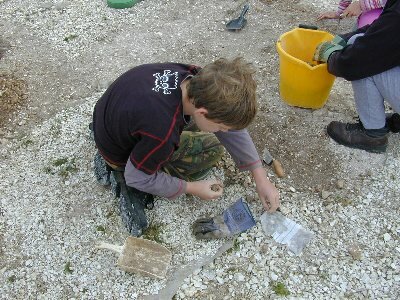 Once we knew about the site and what had been discovered this year, we were able to do some digging for ourselves. 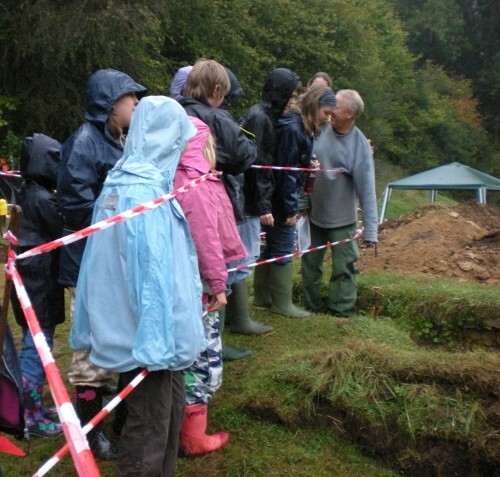 While one group dug in a test pit, the other group were searching for artefacts that the archaeologists had missed in the spoil heap. 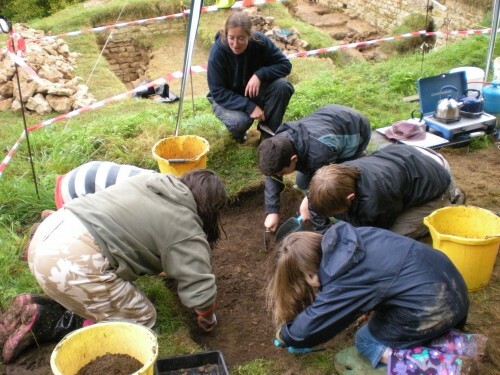 We were very pleased by what we found – particularly the small pieces of painted wall plaster, which we all thought were great. 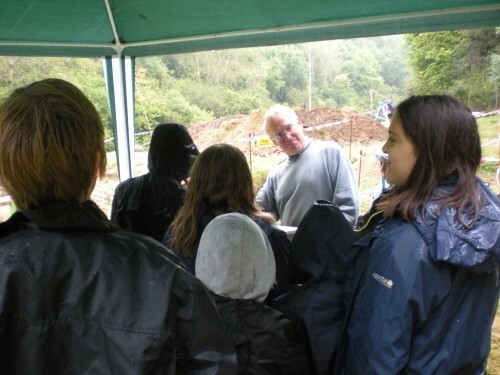 A big thank you to Phil and Wessex Archaeology for letting us come and take part, we had a fun time despite the weather!